An electrical load is the part of an electrical circuit in which current is transformed into something useful. Examples include a lightbulb, a resistor and a motor. A load converts electricity into heat, light or motion. Put another way, the part of a circuit that connects to a well-defined output terminal is considered an electrical load. Three basic types of loads exist in circuits: capacitive loads, inductive loads and resistive loads. These differ in how they consume power in an alternating current (AC) setup. 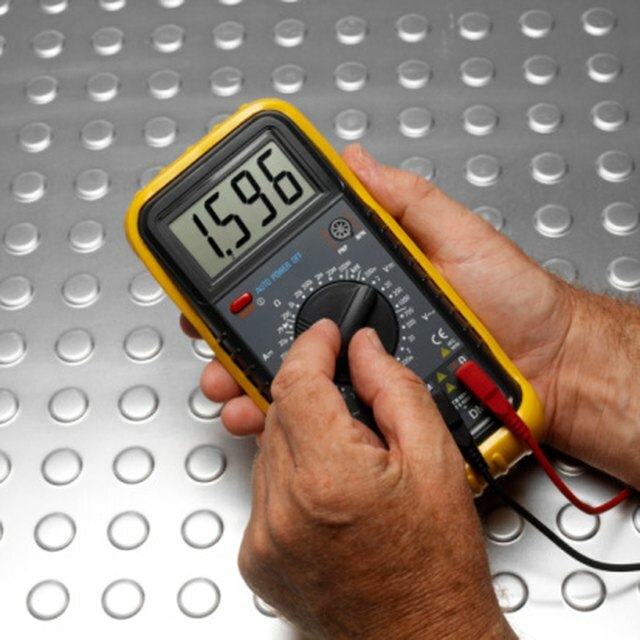 Capacitive, inductive and resistive load types correspond loosely to lighting, mechanical and heating loads. Some scholars and engineers refer to "linear" and "nonlinear" loads, but these terms are not as useful. Loads consisting of any heating element are classified as resistive loads. These include incandescent lights, toasters, ovens, space heaters and coffee makers. A load that draws current in a sinusoidal waxing-and-waning pattern in concert with a sinusoidal variation in voltage – that is, the maximum, minimum and zero points of the voltage and current values over time line up – is a purely resistive one and includes no other elements. Loads that power electrical motors are inductive loads. These are found in a variety of household items and devices with moving parts, including fans, vacuum cleaners, dishwashers, washing machines and the compressors in refrigerators and air conditioners. In contrast to resistive loads, in a purely inductive load, current follows a sinusoidal pattern that peaks after the voltage sine wave peaks, so the maximum, minimum and zero points are out of phase. In a capacitive load, current and voltage are out of phase as with an inductive load. The difference is that in the case of a capacitive load, the current reaches its maximum value before the voltage does. The current waveform leads the voltage waveform, but in an inductive load, the current waveform lags it. In engineering, capacitive loads do not exist in a stand-alone format. No devices are classified as capacitive in the way lightbulbs are categorized as resistive, and air conditioners are labeled inductive. Capacitors in large circuits are useful, however, in controlling power use. They are often included at electrical substations to improve the overall "power factor" of the system. Inductive loads increase the cost of a given power system and reduce the amount of power that is converted to another form of energy. Capacitors are installed to offset this drain. Beck, Kevin. "Types of Electrical Loads." Sciencing, https://sciencing.com/types-electrical-loads-8367034.html. 30 April 2018.